Tea plantations are touted as the country's second largest employer, but as many of them shut down, workers are being cheated by agents who exploit and traffick them. The once-thriving tea gardens in the fertile Dooars region of West Bengal have now fallen on hard times. The tea industry is touted as the country’s second largest employer, but also an industry that undermines labour rights and deprives workers and their families of the most basic needs. There’s widespread poverty, malnutrition, human trafficking and starvation death: obvious factors underscoring the desire for a better life. The availability of basic facilities like healthcare and education is also poor. It was during the mid-1990s when small growers began to flood the tea market emerging out of the Dooars region. As per data published by Tea Board of India, the number of tea plantations in North India (which includes West Bengal, Assam and all the North-Eastern states) jumped from 3,141 in 1994 to 36,836 in 1999. In the Dooars alone, this number jumped from 168 to 532 during this period, rendering the cost structures of these major plantations unviable. Tea garden workers in Dooars have been demanding revision of minimum wages. Nearly three lakh workers in North Bengal called a three-day strike in August. Right now, a worker gets a daily wage of Rs 159. After several meetings with the joint forum of trade unions, the state labour department issued a notification on August 29, saying tea workers will have to be paid at an enhanced rate. The wage rate has to be increased by Rs 10 from September 1 and by Rs 7 from October 1, which means, the new wage will be Rs 176 per day. This is an interim measure to help the workers until the minimum wage rate is finalised, says the order. Mohan Sharma, president, Cha Bagan Trinamool Congress Mazdoor Union, said they welcome the decision. “This proves the state’s sincerity for the tea workers.” However, trade unions affiliated with CPI(M), RSP, Forward Bloc, Congress, GJM (Bimal Gurung faction), GNLF, CPRM, Jan Andolan Party and many others also part of the joint forum, insist on fixation of minimum wage as they feel interim measures cannot eventually resolve any problem. Initially the state’s division of sick and healthy gardens to allot funds to revive sick ones. But visiting every garden, whether it is sick or healthy, to evaluate suffering of workers remains same. District magistrate of Alipurduar claimed that the daily wage rate was Rs 132.50 before the Trinamool Congress government came to power. It had increased the wage to Rs 150 after an interim hike and now stands at Rs 159. Recently McLeod Russel, one of the oldest tea companies, sold Bhatpara tea garden. An RTI report accessed by social worker Rupam Deb says that McLeod Russel dodged Rs 55,03,425 as land tax. Another RTI report revealed that the lease for Sankosh and Kumargram tea garden in Dooars had expired in 2006 and 2000 respectively, but the state government did not take necessary steps. In recent years, chief minister Mamata Banerjee has made regular visits to the region, directing local officials to reportedly ensure that tea garden workers have access to welfare schemes and benefits introduced by the government. But in reality, experts say the issue of reopening closed gardens is also a political game. Dooars’ tea gardens have now become a hotbed for trafficking, owing to the undermining of labour rights and rising deprivation. As production declines, exploitation and deprivation rise. Pooja* was trafficked from Chuapara tea garden in 2013, when she was 13 years old. She was taken to Srinagar and sold to a placement agency called City Service. Two more girls and boys were also sold to the agency at the same time. Harihar Nagbansi, the community correspondent of an NGO, reported the case. He accessed her birth certificate to prove that she was 13 at the time she was trafficked. Pooja was brought back home in April 2018. Binu Tamang (37) was a resident of Dalmore Tea Garden, went to Saudi Arabia in July 2011 when the garden was closed. A local agent had informed her about the opportunity. The agent arranged forged documents for her and finally, Binu got a Nepali passport as Manju Devi. Till 2015, she was in contact with her husband. She said she worked as a domestic help. Her son Raj is working in Kerala in the construction industry and her only daughter Roshni got married recently. Roshni said, “We did not understand the difference between a Nepali and Indian passport when my mother left us. My father is an alcoholic and he also had no clue. Since September 2015, we are not able to contact her. Her phone is switched off.” According to her neighbour, Binu’s extreme poverty led her to the trap. Roshni and her family has not even registered a complaint with the local police station. 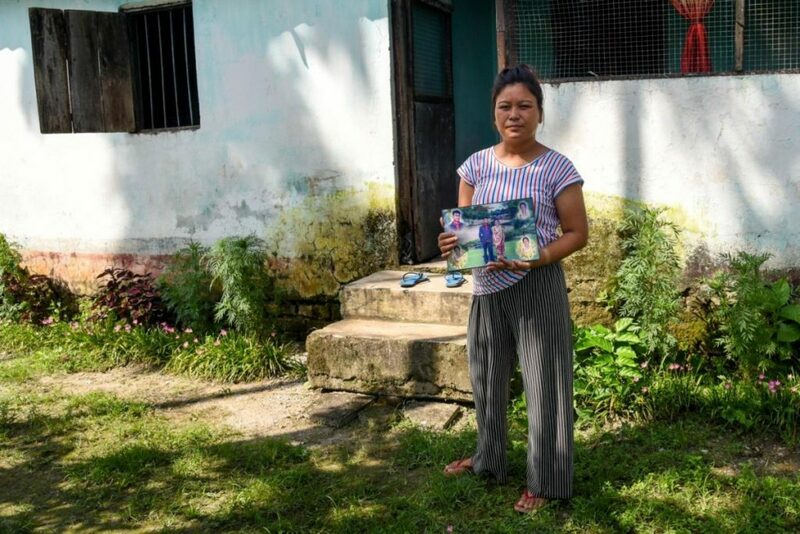 They fear that life will be difficult if the police come to know that her mother left with a forged Nepali passport. Santa Darji (40) was a resident of Makrapara Tea Garden, also went to Saudi Arabia in September 2011 when the garden was closed. Her neighbour Kala Chhetri trafficked her. She arranged all necessary documents for her. Santa left her husband, four daughters and only son behind to go to Saudi. Her brother-in-law Sharman Darji said, “I gave my job to my bhabi when the garden was closed. But the agent washed her mind. First, she went to Delhi with Kala Chhetri and her daughter. They said they would accompany her to Saudi. But they came back from Delhi after a few days. The last time we spoke to Santa was in 2015. She always wanted to come back, but she did not have enough money.” She also left with a forged Nepali passport. Sanobhai Darji, Santa’s husband has not registered a complaint with the police. They hope someday, Santa will return. Gita Biswakarma (41), wife of Kishan Biswakarma, was a resident of Makrapara Tea garden who migrated to Saudi Arabia for better livelihood. She has also been out of contact since 2015. No missing case has been registered till date. A social activist based in Makrapara who is not willing to be named said that such cases were just the tip of the iceberg. 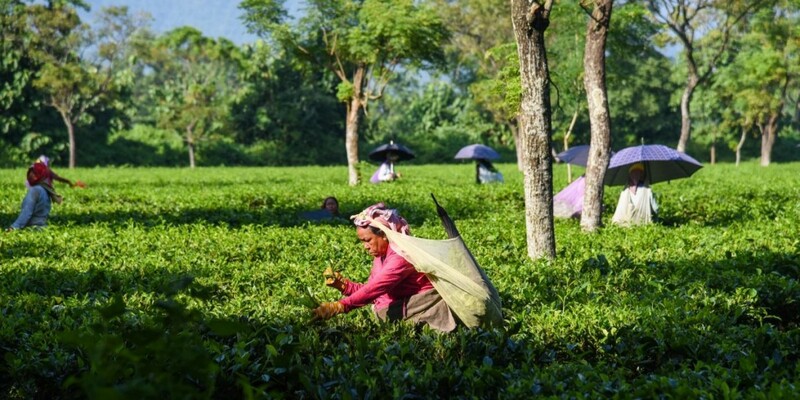 “About 70% of migrants from tea gardens are unsafe. Trafficking agents get Rs 40,000-50,000 per person. The kingpin in this area is Rita Rai. Her racket is run in closed and sick tea gardens. She has connections at every level. They mainly target Nepali-origin women because it is easier to get a Nepali passport,” the activist said. It is difficult to find any family employed by tea gardens who have not faced such exploitation. “There is no alternative livelihood opportunity here. Management pays Rs 159 for 8 hours. Bhutan pays Rs 300 per day in dolomite and stone crushing factories. Workers are even migrating to Jaigaon, Siliguri and Sikkim to work in hotels and restaurants,” the activist added. Alipurduar District, a part of the Dooars region, has around 63 tea gardens as per official records. The workers of these gardens are mostly tribal people who have been working there for generations. The closure of gardens or irregular payment of wages hurts their economic and social life greatly. As per official records, five tea gardens have been closed and another 20 others have been declared as “stressed”. The closed tea gardens are Madhu, Bandapani, Dheklapara, Lankapara and Dimdima. The Mahatma Gandhi National Rural Employment Guarantee Act (MGNREGA) is at best symbolically implemented. Getting the promised work of 100 days per year is a far-off dream. At the ground level, people say “we are getting work”. Usually, they get only 30-50 days of employment. Higher education is another distant hope for those who grow up on tea gardens. 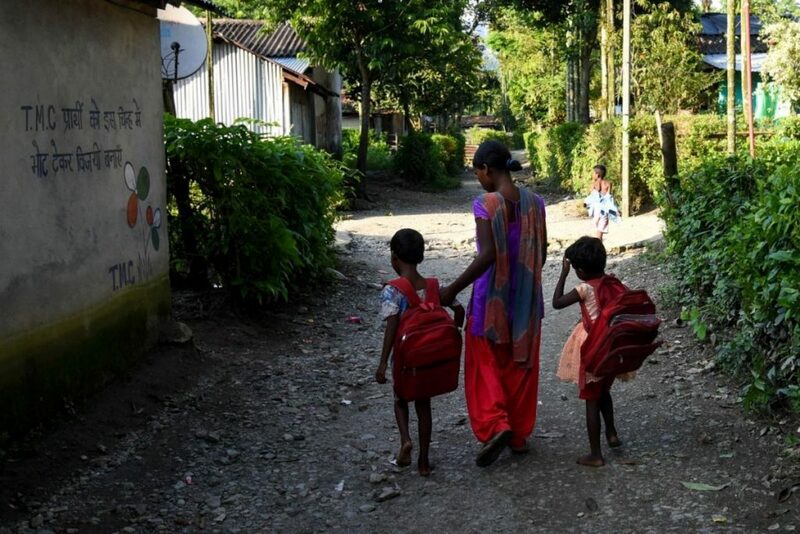 Sanjay Lohara of Mechpara tea garden said, “We have to travel 17 km to reach the higher secondary school.” To ensure right to education, provide proper mid-day meal and decrease school dropouts, the district administration launched project “Aloron” in 73 schools under 20 tea gardens of Alipurduar. 73 mentors visit the schools twice a month and report to the additional district magistrate. Within these 20 tea gardens, five are closed. 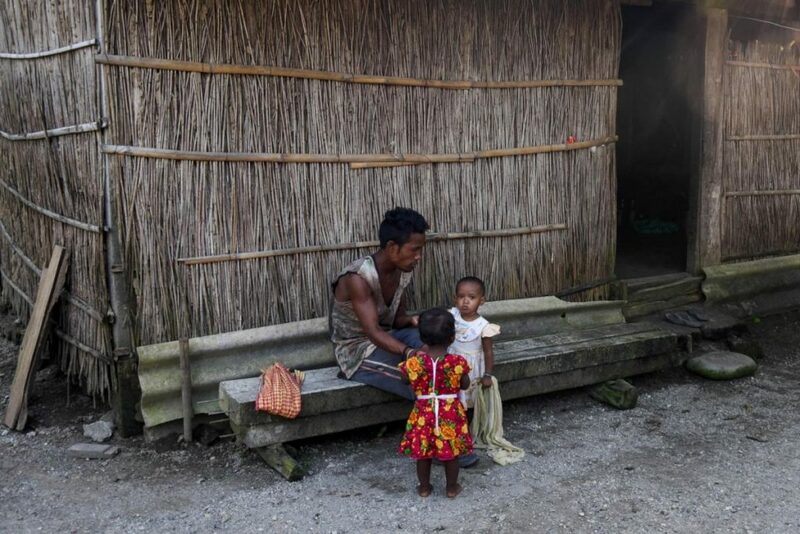 Nirmal, the district magistrate of Alipurduar, stated, “Aloran is a programme which I am hopeful will have a long term positive impact on the lives of Adivasi people. Good education will help students get better career opportunities.” Meanwhile, the district magistrate has earned a “Nayak” status among people. The people, who have never stepped out of their gram panchayat and block, were amazed to see him come to their doorstep to listen to their grievances. People are migrating to Bhutan and southern states for higher wages. In every garden, the younger generation does not want to work in tea gardens. Experts propose introduction of workers’ cooperatives in closed and sick tea gardens as an alternative for tea workers. In Tripura, workers of Durgabari tea garden are successfully running a workers’ cooperative. In 1974, the workers of Jalpaiguri Sonali tea garden had formed a cooperative. 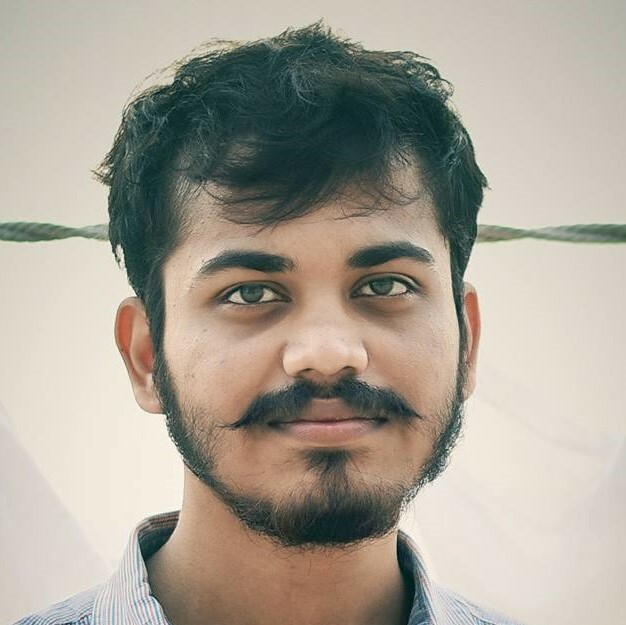 Tanmoy Bhaduri is an independent photojournalist and writer based in Kolkata. He covers issues on development, women and child rights, human trafficking, natural disaster, indigenous rights, climate change, strikes and conflicts.